Last week in Athens a big media campaign was launched by Marketing Greece under the name http://www.discovergreece.com. For an even better representation of the beauty of Greece and the place it can have as a top tourist destination. Representatives from “Spyrou Hotels & Companies” based on Skopelos were present. Business talks were held to establish various press & mediatrips for journalists from all over the world to Skopelos. Discovergreece.com covers more than 120 destinations in Greece and talks about 30 Greek themes. Visitors can watch 60 videos and 3000 photographs from all over Greece. The website is in Greek and English and French, German and Russion will soon follow. 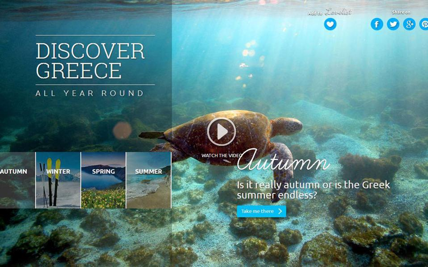 Discovergreece.com has an Evia & Sporades page: http://www.discovergreece.com/en/where-to-go/by-region/evia-sporades . If you click on Skopelos you can see several pictures and a small story. On discovergreece.com you also has the ability to book a hotel, a flight etc. Too bad the photo of Panagia tou Pirgou is backwards. It didn’t look flipped to me (although there are two), or do you mean the angle? I meant flipped. It is the third of the three images in the Skopelos slideshow in the link above. Although the bell-tower seems to be in the same relation to the dome – would that be roughly WNW? – in both shots? Ah, I sit corrected: just screengrabbed the second shot and flipped it, and it is the wrong way round!